The agents at the IRS Regional Examination Center in Peoria, Illinois, appear ordinary enough to newly-arrived trainee David Foster Wallace. But as he immerses himself in a routine so tedious and repetitive that new employees receive boredom-survival training, he learns of the extraordinary variety of personalities drawn to this strange calling. And he has arrived at a moment when forces within the IRS are plotting to eliminate what little humanity and dignity the work still has. 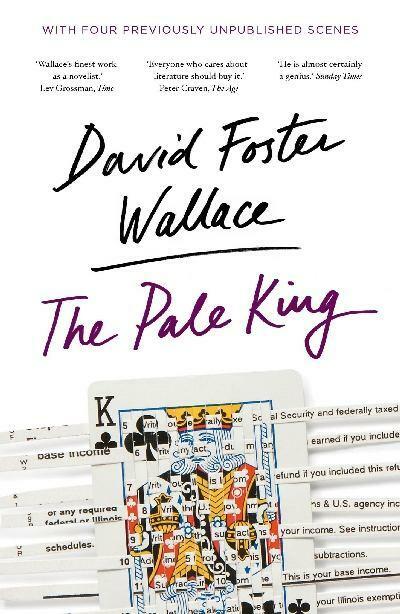 The Pale King remained unfinished at the time of David Foster Wallace’s death, but it is a deeply compelling and satisfying novel, hilarious and fearless and as original as anything Wallace ever undertook. It grapples directly with ultimate questions - questions of life’s meaning and of the value of work and society - through characters imagined with the interior force and generosity that were Wallace’s unique gifts. Along the way it suggests a new idea of heroism and commands infinite respect for one of the most daring writers of our time.